The Geek Muse: Richard Dawkins: God Deluded or Just Deluded? Richard Dawkins: God Deluded or Just Deluded? I’ve reserved judgment about Professor Richard Dawkins, the author of The God Delusion, for some time now. Today he’s gone and made headlines again by calling the Pope ‘stupid, ignorant or dim’. Way to pick a fight!! Now I’m indifferent and ‘live and let live’ when it comes to religion in general, but the preachy in-your-face type of religious fanatics really piss me off (y’know, the ones who tell you that you’re all going to burn in hell unless you pray to their particular ‘imaginary friend’, as Jimmy Carr would call it). 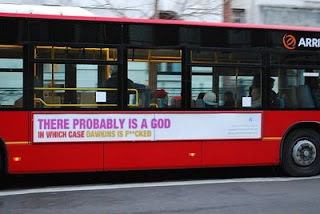 But ardent atheists like Dawkins also seriously piss me off. I’ve tried to ignore the fact that he can look exceptionally creepy at times (nothing that a good stylist couldn’t put right) and the fact that he occasionally slips into a school-boy ‘so there!’ kind of aggressive attitude, but when I have seen him speak he is prone to slip into the same glassy-eyed zombie rant that he criticises the religious fanatics for being so partial to. What’s that saying about black kettles and accusatory pots? Same old same old, I’m afraid. Turn it in. Who’s watching the Watchmen audience? Can You Hear Me Dear?